Jasmine Tsui (MFin ’19) graduated from the University of Oregon with bachelor’s degree in Accounting. 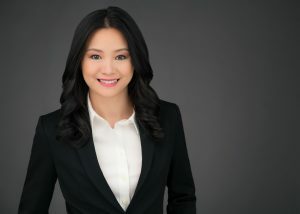 After receiving her degree, she worked as a tax assistant associate for PwC in Hong Kong. After a year in this position, Tsui obtained an assurance associate position at EY Hong Kong for two years, where she was promoted to Senior Assurance Associate. She also worked as a general accountant in the United States where she realized her fascination with numbers, programming and finance. Her passion drove her to pursue a Master of Finance degree at the Rady School of Management. 1) Why did you choose to pursue a Master of Finance? I chose to pursue a Master of Finance because as an accountant I realized that I could learn a lot about a company by analyzing its financial statements. A Master of Finance will allow me to better make financial decisions in my career. The program gives students industry experience in its courses, culminating in a real-life capstone project. A strong focus on quantitative curriculum sets Rady apart from other programs. The faculty puts students first and truly cares about their success. They provide us access to a variety of career-related resources and get us ready for the workforce. I will be ready to join the workforce with remarkable soft skills once I finished the program. I am looking forward to taking Data Science for Finance using Python. The class will enhance my data analysis technique by introducing powerful tools, and allow me to make accurate predictions by studying the data patterns. Applying the terrific data analysis and communication skills earned at Rady in the workplace. Also, I would like to be a resource to prospective students. Reach out to Rady faculty and alumni when you need help or advice. They are always willing to answer questions and help out.